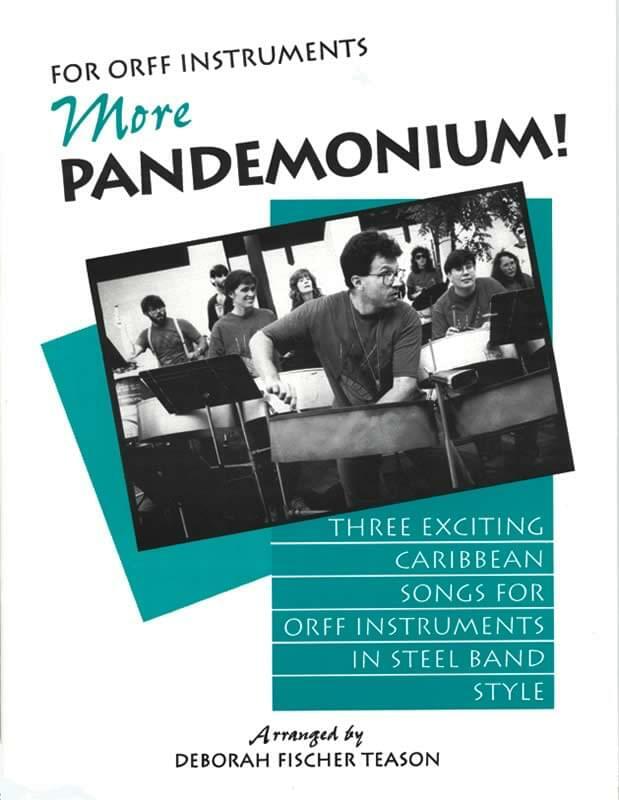 Your students will go wild over these three exciting arrangements of Caribbean pieces in steel band style for your Orff instrument ensembles - no pans needed! Artfully arranged by Deborah Teason, the author of Pandemonium Rules! - Orff Instrument Arrangements of Steel Band Music, these are perfect "fakes." Deborah is a composer, music educator and member of Pandemonium Steel Band. She knows how to put the parts together to fool your audience's ear into thinking they are hearing a steel band with all pans ringing! Add these lively pieces to the three in Pandemonium Rules and you are ready for a "Panorama" celebration missing nothing but the pans! Full scores including lyrics for "Monkey Jawbone," "Papaya Juice," and "Mango Walk"